Every year around this time, all the shelter mags and interior design bloggers are abuzz with “the next big thing” in interior design. This always brings about a huge eye roll on my weary face. I mean… it’s not like changing our decor is like changing our lipstick color! It’s a very big deal. The cost to put together a nice living room from scratch is $20,000. Minimum. Then, there’s the matter of personal preference. I have clients who love color; can’t get enough of it. 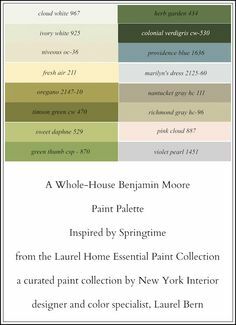 And, there are clients who want a very muted palette. Some like pattern and some don’t. There are those that hate certain colors, but love others; lots of variation. House Beautiful recently came up with 11 interior design trends for 2015 focusing on color and they run a huge gamut. as long as you do it well. But isn’t that the crux of the problem? 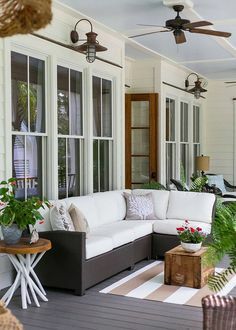 How do you go about making a room go from so-so to wow? Sure. You’ve been watching too much HGTV. haha! Seriously, though, what is it that makes a room go from ho-hum to something special? It’s lots of things and of course, one could write an entire book about this subject. Perhaps it’s easier to tell you first what NOT to do. Do Not Pay Much Attention to the Hottest Interior Design Trends for 2015. Instead Live with the Colors and Furnishings That You Love! Don’t know what that is? Look around you. What are you drawn to? What do you wear? When you open up a magazine or look on pinterest, what gives you goosebumps? After that, what is it that makes some rooms stand out as being something very special? The room is treated as a composition, like a work of art instead of individual pieces. Not every piece of furniture, pillow, lamp, etc needs to be the star of the show. Some are supporting players. The room has complexity in its color scheme. And this could be subtle or bold, but there are variations amongst hues. There is at least one thing that’s unexpected. This one is more difficult for me sometimes and certainly for my clients. Attention is paid to wood tones and they ARE part of the color scheme. Here is one of my favorite rooms that has achieved all of these elements perfectly. It is from the 2009 Kips Bay Showhouse by one of my favorite interior designers, Bunny Williams. The photos are courtesy of Mark D. Sikes. I probably could’ve done an entire post just on this one room. What makes it so incredibly special? Well, there’s a wonderful balance of light and dark, color and neutral. There is old, new, exotic mixed with traditional pieces. There is fabulous art and the room is perfectly composed and scaled just right. And then there’s Quadrille’s Veneto fabric which you can also see on my portfolio in the Bronxville dining room but in apple green. And there’s also this amazing lamp which is sold through Lee Jofa. Oh man, oh man… Where do I begin? I don’t know. I don’t know. And there’s nothing I can say that doesn’t sound completely cliché and worthy of his astonishing talent. Spelling out a few things, first of all this amazing home in Millbrook, NY was designed by architect Gil Schafer. It is an architectural gem which Miles decorated to look like it has been here for 150 years, except not. See? Can’t put it into words, so I’ll just shut up now and let you look at the magnificence of his work. These two shots are also of a room done by Miles Redd for the 2013 Adamsleigh Showhouse. Mile’s rooms are always beautifully composed, layered and rich with luxurious elements and colors! Oh, and yes! He always uses lots and lots of CHINOISERIE. Miles Redd, yet again. It takes a brave man to pair a tufted contemporary sofa in brown velvet with a baroque mirror and brass lamps with red shades! And yeah… for those of you in the know… That’s Lee Jofa’s legendary Hollyhock on the pillows. It’s old guard meets I-don’t-give-a-crap-what-you-think-because-I-like-it-and-that’s-all-that-matters. That’s what makes this room so brilliant. Switching gears to another great talent. Ashley Whittaker. 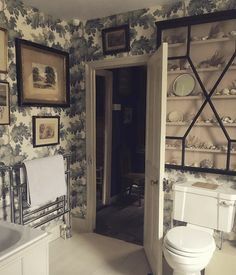 I love her neo-traditional rooms that are all just so gosh durned pretty! And yet, they are never froo-froo. She grounds pale and sweet with some handsome brown and white pillows and a dark if not black Ming coffee table. I chose this image because the complexity is achieved through many variations of the color green. It takes courage, but do not be afraid to use lots of variations of the same color in one room! That is just as valid as what Miles Redd does. And sometimes he does this look too! 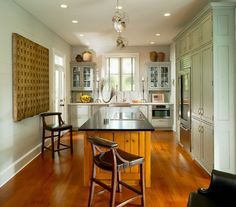 Fabulous dining room by Mark D. Sikes. Painted floor. Leopard rug. Leather chairs, wainscoting and one of the prettiest chandeliers I’ve ever seen and then… he mirrored the walls? And layered another gorgeous mirror on top of that. Genius! Blue and white Porcelains. Books. Hey, just bring me a pillow and a cup of jo and some crackers and I could stay here for days. Fresh and trad at the same time by Wadia Associates as you can see, but I want to give them a link. The rest of these images are rooms done by the amazing Suzanne Kasler. Some of you may remember that I got to meet her last March at the blogger’s conference in Atlanta. And let me tell you that she’s as sweet and humble as they come! When I’m rich and famous, I’m going to be nice like that. haha! I posted this first image because this is a more unusual color for Suzanne. She generally favors cooler tones, blues, grays, greens, whites, etc, but this is positively mauve and wait. Is that Pantone’s Marsala? No. It’s in the same family, but this is a dusty faded rose. I love how she plays with all of the variations of this color family. This is what makes her rooms so pleasing to the eye and rich. And yet, to keep it all from being too precious, she uses that graphic stripe horizontally on the chairs. Brilliant! This is a more typical room by Suzanne Kasler. The trend here is… You can’t tell for sure if this room was done yesterday, 10 years ago or what? And it will still look that way ten years from now. While I may genuinely post trends, the only ones I like are the ones that are here to stay. It’s not that we can’t do something different. But different for you might not be different for someone else. The key is to remember that our rooms are like an orchestra. All of the elements need to work together even if the composer has some unusual ideas. Bobby McAlpine = A Badass Architect You Will Love!